The ’80s were decadent and fun. It was an adventurous time, says Zach Dishinger, makeup artist and founder and CEO of Formula Z Cosmetics, a vegan, cruelty, gluten, and paraben-free makeup line. “Self-expression was encouraged and creativity ruled,” adds Dishinger. 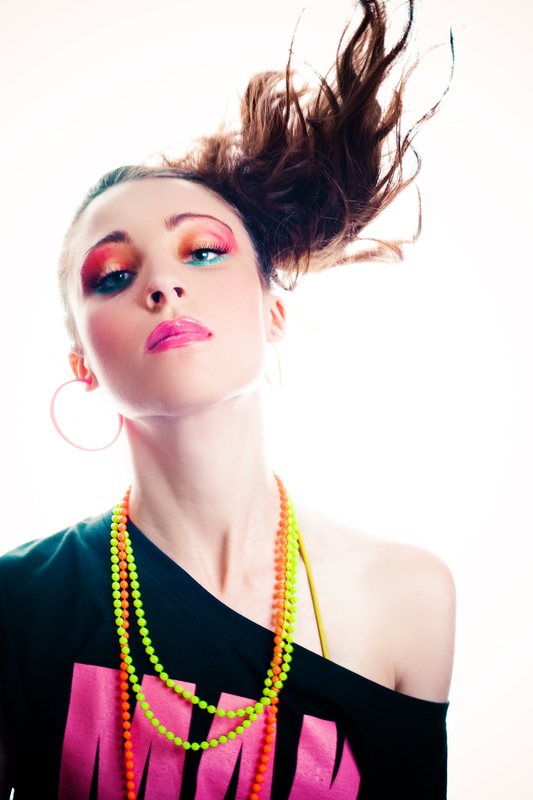 The ‘80s were a time when bright blue eye shadow reigned supreme. Although the modern ‘80s makeup interpretation includes blue eye shadow, you can easily give the classic look a modern spin by choosing another bright color, like using a bright purple eye shadow to accentuate your eyes. Simply apply a thick line of shadow where you’d normally apply eyeliner. 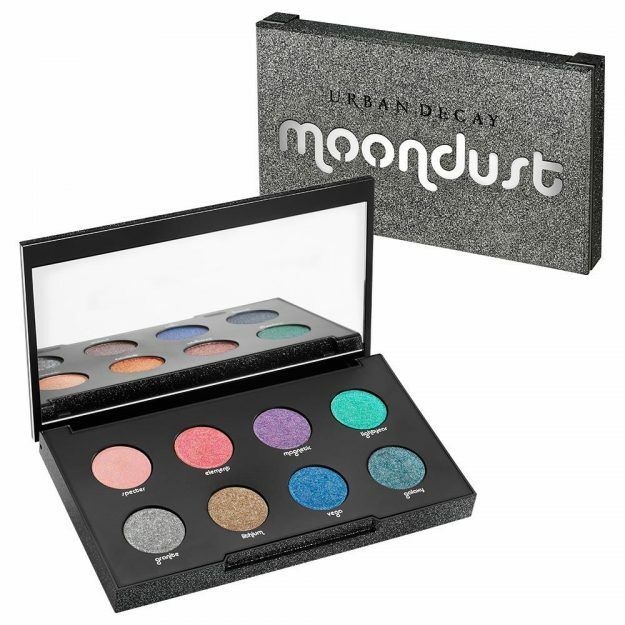 We love this purple hue that comes in the Urban Decay Moondust Eyeshadow Palette. The color, Magnetic, has a refined, metallic appearance. The palate is priced at $49. In the ’80s, women wore their bushy brows loud and proud. You, too, can achieve this natural look by slightly enhancing the brows you already have with a natural brow pencil. The Brow Boss Pencil from ColourPop is perfect for this. 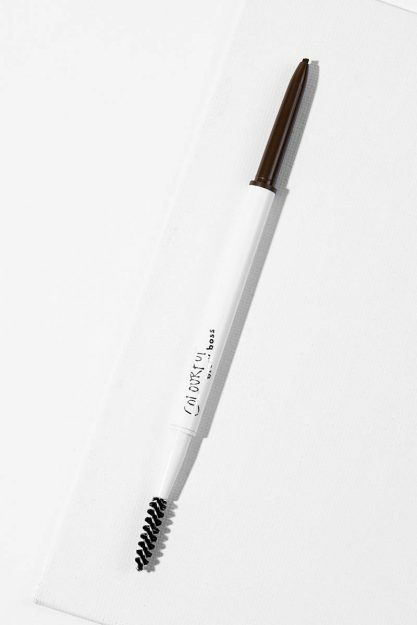 It allows you to build color with its mistake-proof pencil, and a brush that allows you to create feathered brows. Priced at $5. Draped blush is merely a more dramatic—a much more dramatic—blush look. Instead of just covering your cheekbones, use the blush to accentuate your eye area, and some of the eye lid, too. 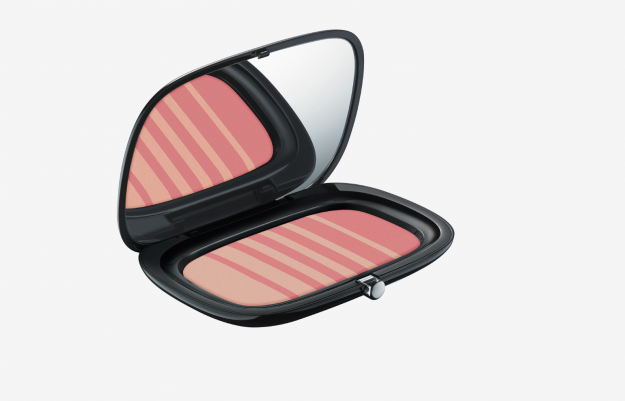 Marc Jacobs makes a great blush that’ll easily help you achieve this look. It’s no secret that hot-pink lips were “hot” in the ‘80s. Thankfully, there are plenty of modern makeup brands that sell bright pink lip colors. 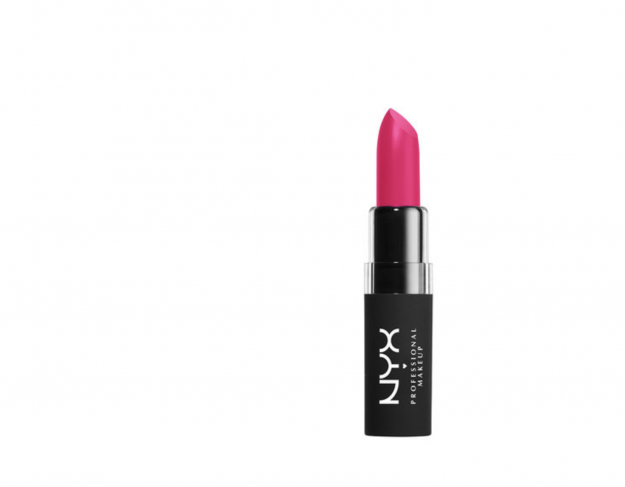 We’re a fan of NYX’s Velvet Matte Lipstick in Miami Nights. The lipstick is a comfortable matte. It’s easy to apply on lips, never feels dry, and is soft to the touch. Priced at $7. Although glitter was big in the ‘80s, it’s never truly gone out of style. 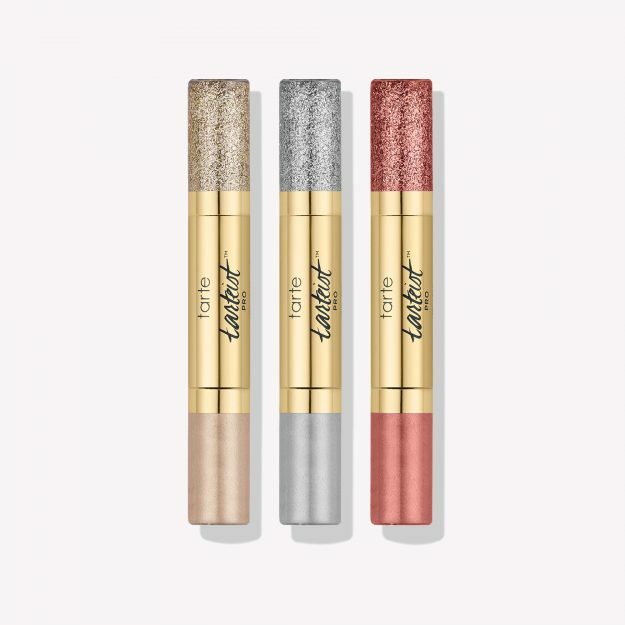 To give this retro glittery look a modern spin, line your eyes with one of Tarte’s liquid glitter liners. This set contains three colors: White Gold, Silver, and Rose Gold. It’s priced at $29.